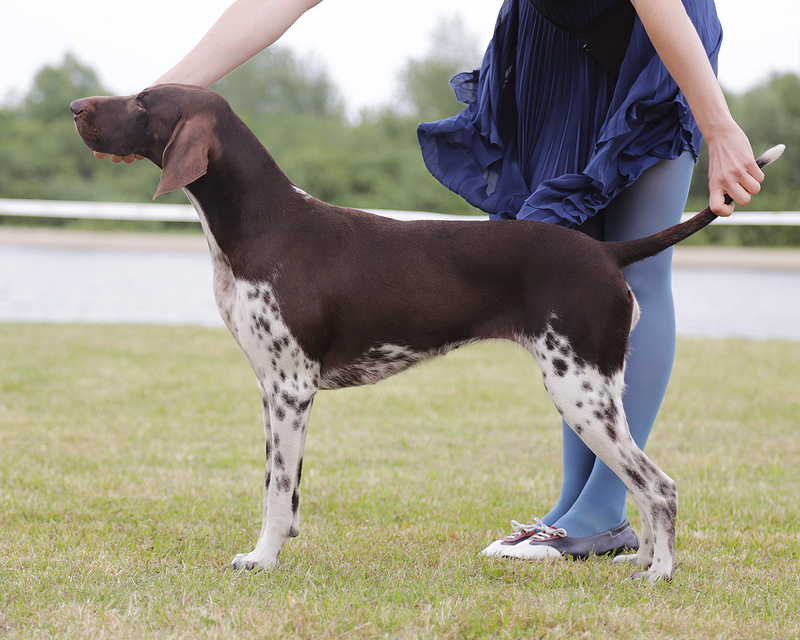 Everything began from female INTER CH Amazoni, who was brought from Finland in 2003. 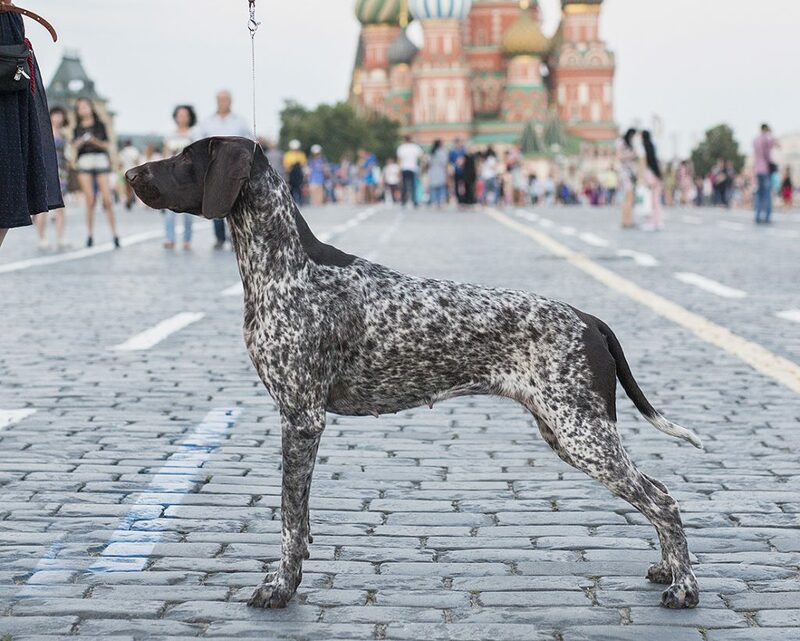 She became the very first GSP INTER Champion in the Baltic region and founded a new GSP bloodline in Eastern Europe. 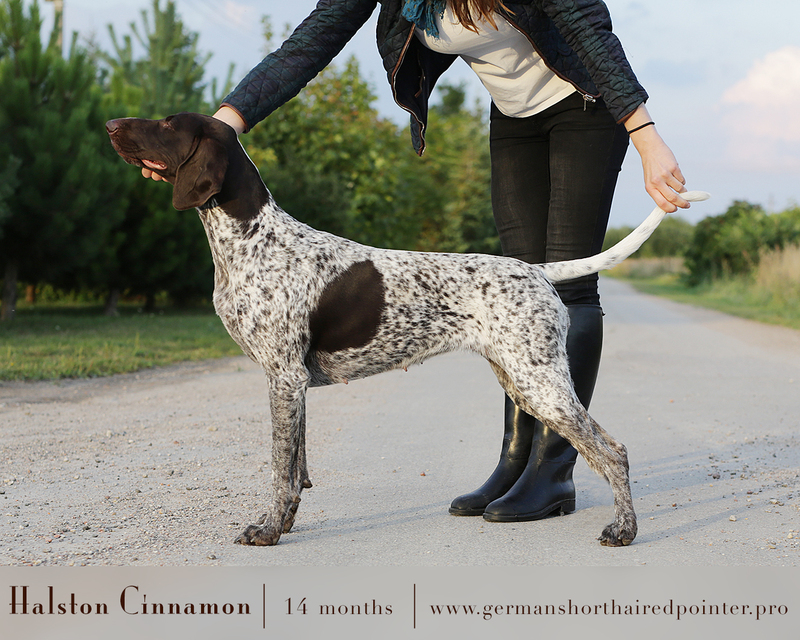 Very first litter was out of Amazoni and wonderful working dog Multi CH Don Korleone’s Conrad bred and living in Finland. This litter produced my beloved and faithful friend, Great CH Upe. That’s how our kennel is called – UPE (meaning “RIVER”). 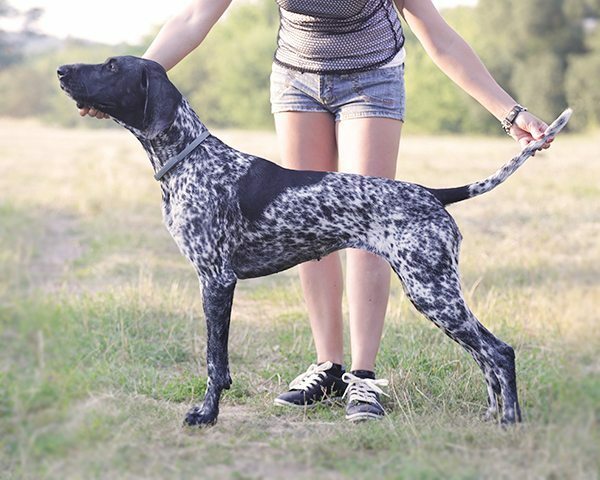 We breed only those dogs, who have a stable and typical temperament, excellent health, well built body with no serious anatomical faults and with a strong passion to work. 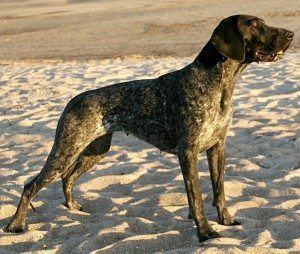 Other dogs have same active and good life, but are not used in a breeding, if one of these important moments do not work or has some issue. 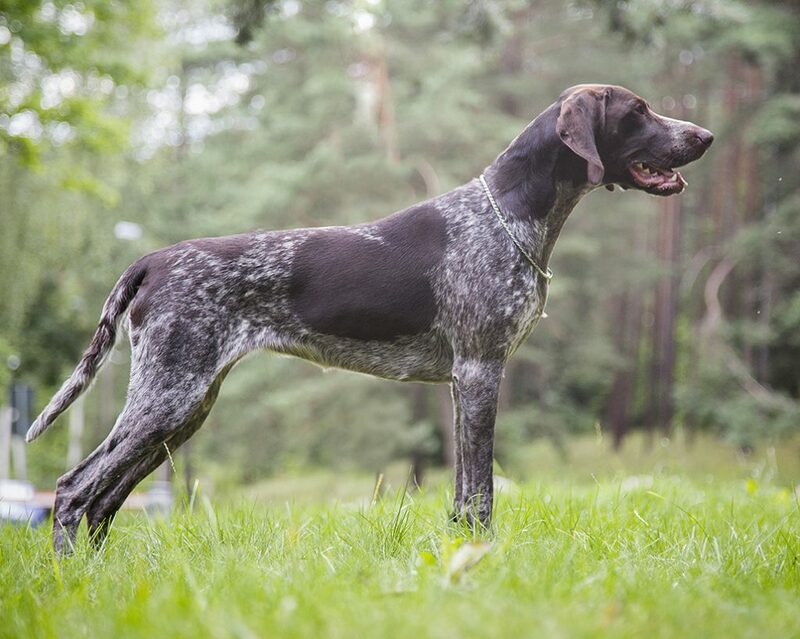 All our dogs are constantly trained in the fields, forests and water. Socialised in the city and dog shows. Lives with the families at home together. The meaning of Invictum is INVINCIBLE. Invi is incredible dog. He is a dog, who really always is happy no matter what. Invi is afraid of nothing, aggressive towards nobody, but interested in everything. Invictum works and does everything with such a joy, that I have what to learn from this lovely fellow. It’s so easy to work and control him, as Invi is always and everywhere ready to do anything. 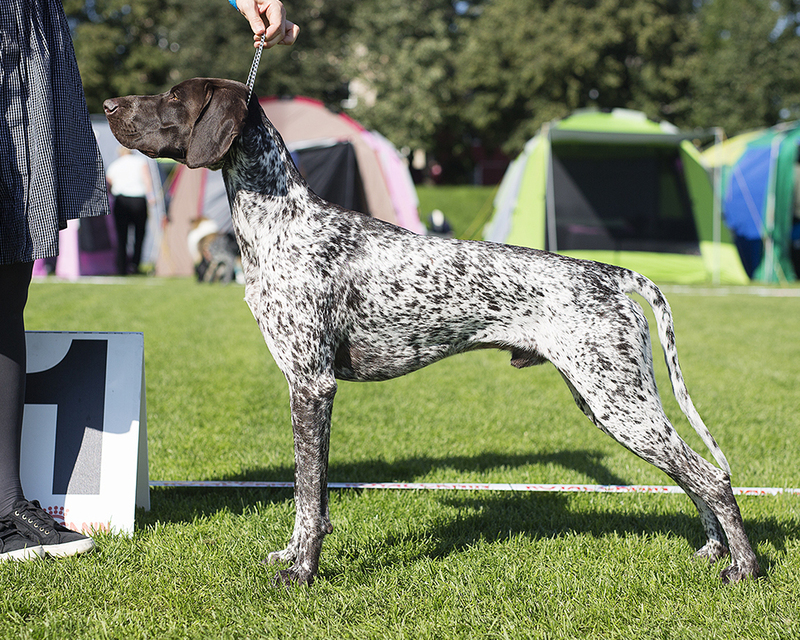 No matter whether it is obedience training or field training, Sled Dog sport, game with a ball or swimming, warm summer day or cold winter day and icy water. 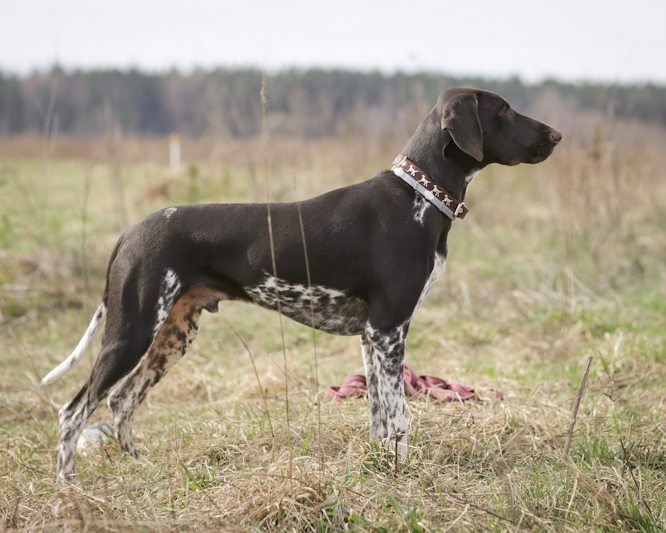 Invi is incredible fast and strong in the fields, he does a very correct upper search and sometimes even to fast in lower search. Such an incredibly joyful and peaceful temperament is one of a 1000. AVAILABLE AS STUD: Yes. 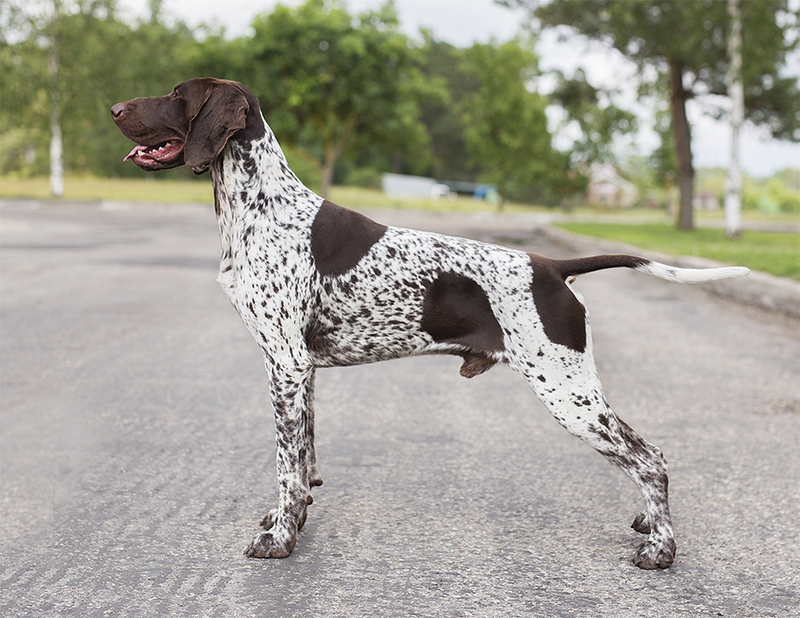 Only to quality GSP females with FCI pedigree. 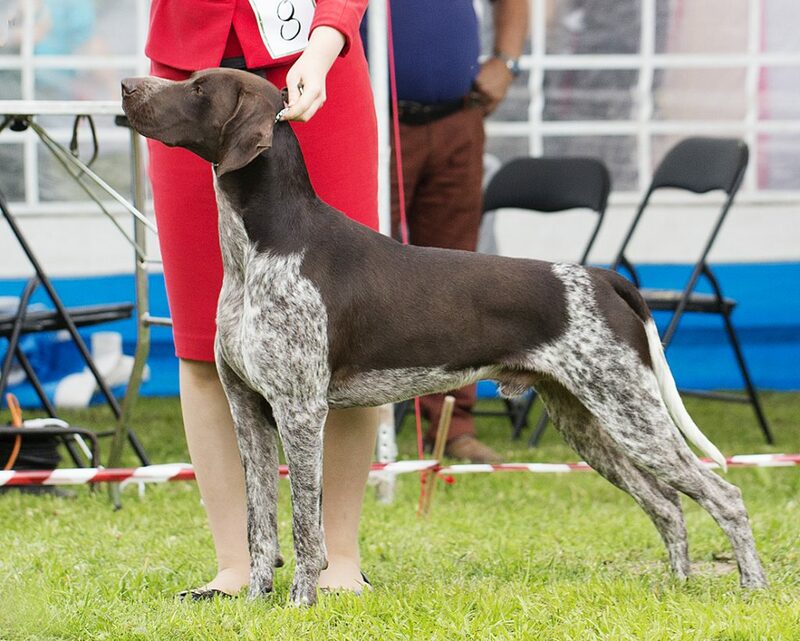 Magas came to us being 9 months of age from respectable breeders D. Mate and A. Nacsa, Hungary. He is brother of our beautiful female Sabi (Halston Cinamonn). Magas is a dog with a very nice temperament, friendly and easy going but in the same time with his strong personal opinion about life. He is most amazing “retrieving machine”. Magas can retrieve everything and from everywhere all day long… As well he loves to swim and even dive in the water. Has a beautiful style in the fields with very strong point and very correct nose, especially for upper search. Exclusively strong, nicely built, very bony male with expressive head and marvellous movement male. Hugo is a lucky cookie. I have a feeling, that he is born under success star. Most of the things goes very smooth and well with him. Everything he does or anywhere he goes. Hugo loves to go hunting with his co-owner Audrius, who works with him a lot. Tis dog got the speed! me a lot during his socialisation and training program after he arrived from Hungary to us. Sabi is a very strong female. She is as I say “cross country” type. Doesn’t mind of the bush thickness or wet and muddy areas, big hills or high reeds. Sabi just run through everything and everywhere with no pause. She trust herself very strongly and knows her value very well. In the same time she is a very loving and kissing sweetie. Well built, very bony with marvellous movement female. 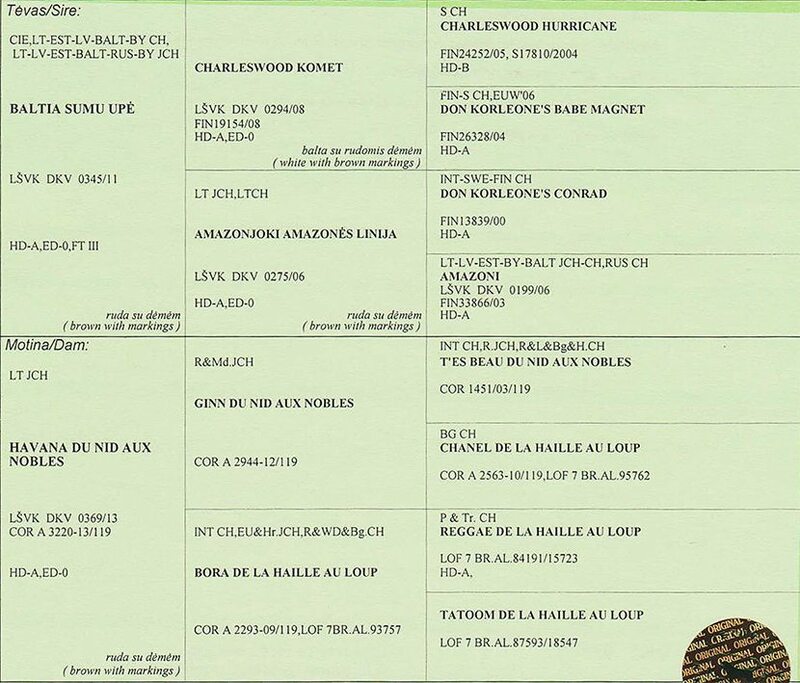 Eza is a beautiful female out of Multi CH Baltia Sumu UPE & CH Havana Du Nid Aux Nobles. Eza is extremaly clever female. Her body is so harmonic, that she has an exceptional speed and flexibility in the forest or at the field. Big passion to work and very friendly temperament. She was the strongest puppy in the litter. Mentally and physically. Lara is a super lovely female. Super positive dog. Joyful and sweet temperament female. She has a very good nose and her pointing style is just outstanding. The dog that wants to point every bird even when living in the city full of pigeons. At the age of 11 months she has closed her Lithuanian Junior Champion title. Havana is most sweet female ever. She is 100% positive dog. Havana knows her value very well, she’s very feminine and adores tidiness and comfort. Super friendly young lady to everybody except hare, ducks, geese and other running or flying creatures. She performs very well hunting on land or water and get better and better within the age. The meaning of Ivanhoe is a legendary Robin Hood. Ivanhoe is a historical novel by Sir Walter Scott published in 1820. Hudas is our fast developing youngster. At the moment he is on training season and doing very well. He is very good on concentrating toward birds or blood track. The meaning of her name – RIVER. She is powerful and super fast dog with a quick reaction and very well concentration in the fields. Most of the shows she has won because of her movement. Our Multi Champion Upe is just the best. She is and will be more than a dog of my life, the Friend who has led me while traveling everywhere in the world at most extreme situations and still does. Upe is mother of our dear litters “B” and “C”. Ignis in Latin is Fire. Igi’s temperament is burning as fire. She flies in the air, she runs as fast as hounds, she jumps to the water better than frog, she is amazing contacting dog and super sweet, indeed. Igi is most incredible jumper I’ve ever seen. She has very bold temperament but in the same way she is very friendly. Especially well behaved to people, kids and dogs. 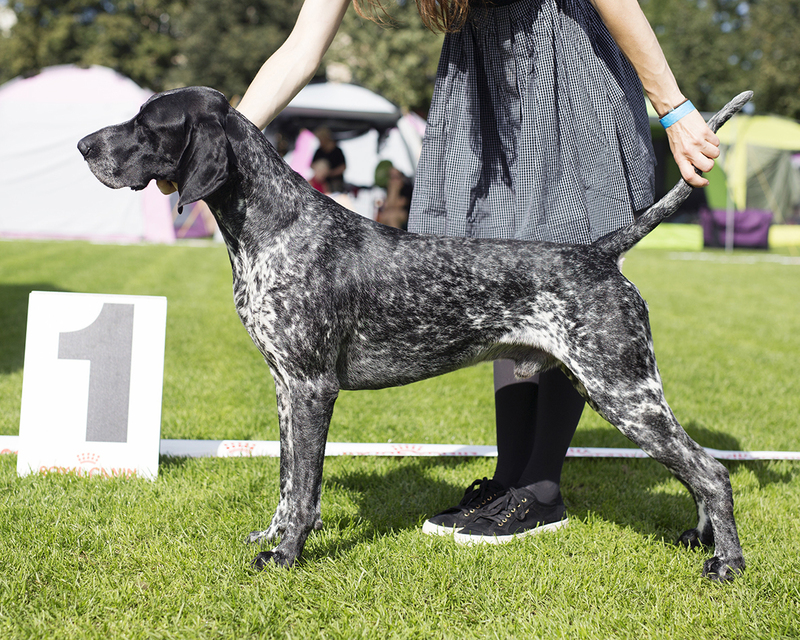 Amazoni was very precise seeker in the fields and best runner at the shows. She was learning very fast and working with high joy. Now Amazoni is granny and nanny but her joyful drive hasn’t escaped. Amazoni is UPE’s (Amazonjoki) mother imported from Finland. 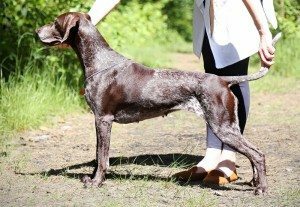 Amazoni is the first GSP in Baltic region who officially was confirmed as International Champion. Amazoni is mother of litter “A”.